While most drinkers prefer a frosty brew to a tepid one, temperature is especially important when it comes to lagers, which require weeks of cool-temperature conditioning, or "lagering," post-fermentation. 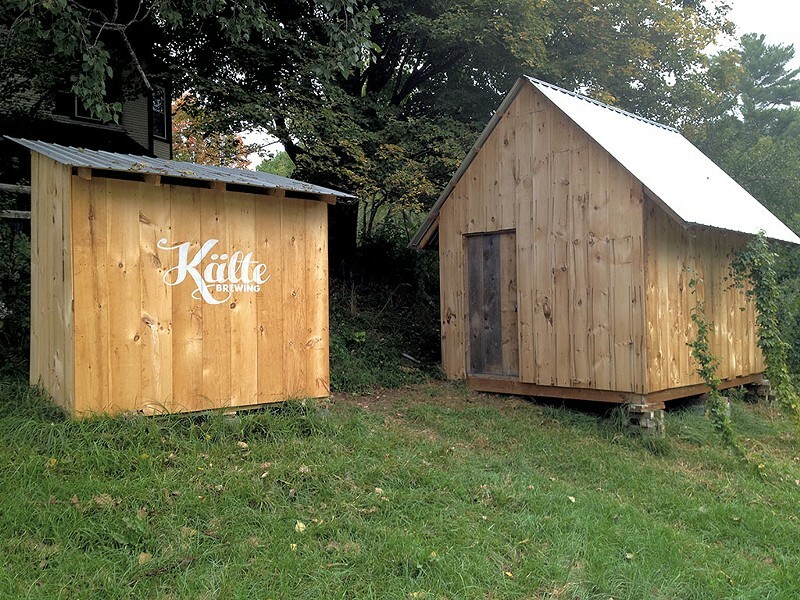 In German, Kälte means "cold," so it's an apropos name for a brewery that crafts German-style lagers. That's what Hardwick native Nic Volk plans to focus on at Kälte Brewing, which he'll open in his backyard at 136 Cherry Avenue in Morrisville later this fall. The opening date depends on when the beer is ready; Volk is brewing now and plans to start bottling later this week. "If I can make it by Halloween, that'd be awesome," he tells Seven Days. "But it may not be until Thanksgiving." An electrician by day, Volk runs his no-frills brewing operation in a small barn in a residential neighborhood, with no plans to license a tasting room, obtain distribution or serve pints, flights or anything else. "It's basically a glorified homebrewing setup," Volk says of the half-barrel system that he'll use to brew cold-conditioned lagers, including pilsners, helles lagers and other German styles. He'll package the beers in 16-ounce bottles and sell them from the barn-brewery on weekends. Though the brewery is "wicked small," as the brewer puts it, it represents a long-term project for Volk. "I started brewing when I was 12," he says. "I'd make beer for my dad and my uncles." Now 38, the brewer says he's drawing on his German heritage and his appreciation for crisp, not-so-hoppy styles to guide his output toward accessible beers that those with less hop-friendly palates will enjoy. The original print version of this article was headlined "Bottles in the Backyard"